Your remark on how change quotient relates to system size suggests that there must be some absolutes – a reorg every two weeks may be too much for a 40-people company trying to stabilize its software processes. Change disrupts the status quo. Change events can be external (a new competitor, government regulations, market conditions, …) or internal (promotions, people leaving, new product lines, process improvement…). Let’s call the change event, a foreign element. 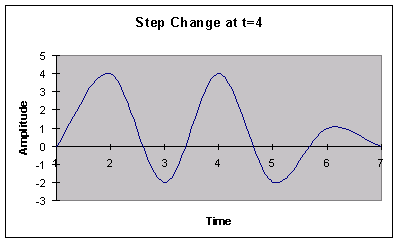 When a system experiences a foreign element, its output fluctuates over time until things return to normal. 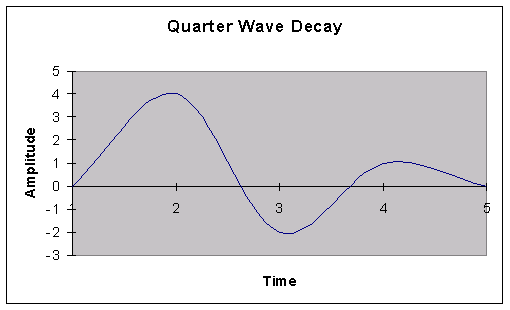 The following graph shows a system exhibiting this behavior. Now the system takes longer to return to the desired output level. So far changing during change doesn’t look desirable. 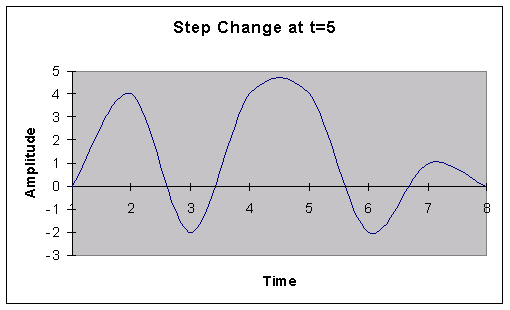 For convincing let’s add one more change at t = 5 (same parameters). I “lifted” this graph from my colleague Steve Smith’s article The Satir Change Model.